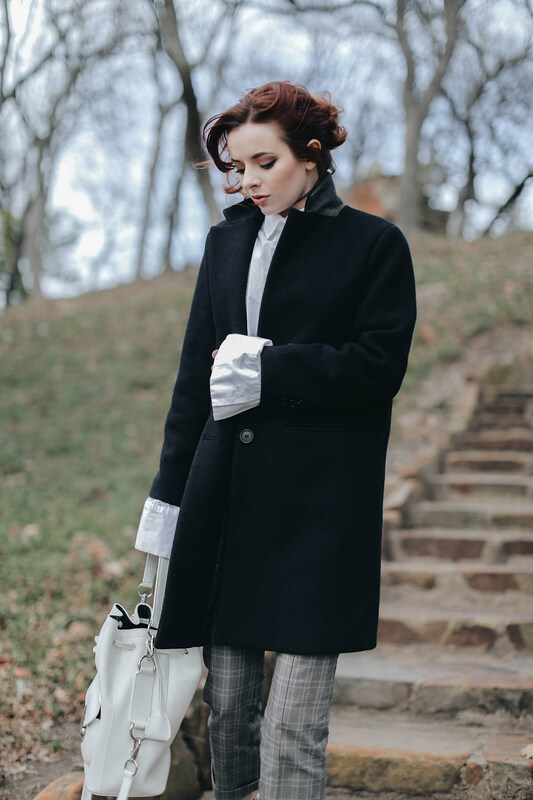 A look from a very cold day last week running errands. 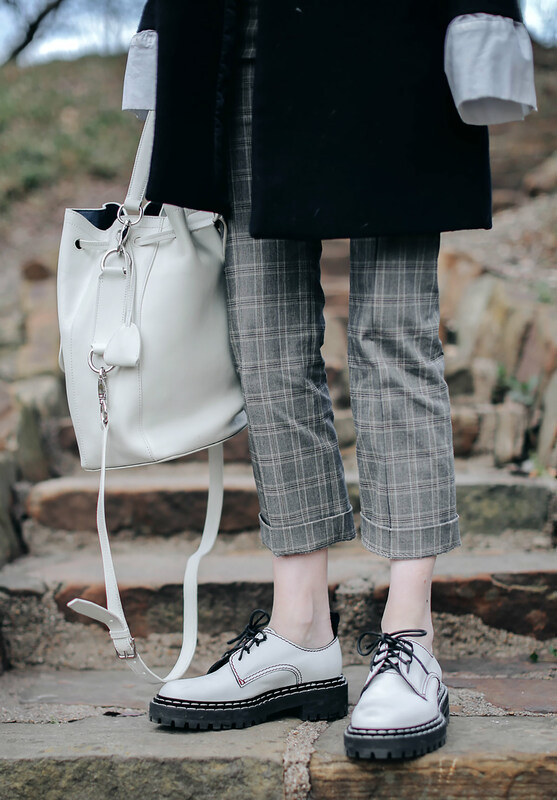 I am still obsessing over these Proenza Schouler brogues I got on sale! They are so much fun to style. I love them with colorful vintage dresses or with cuffed Levi’s. I also love them with a tailored look, they make a fun juxtaposition when you mix them in with really classic wardrobe staples. 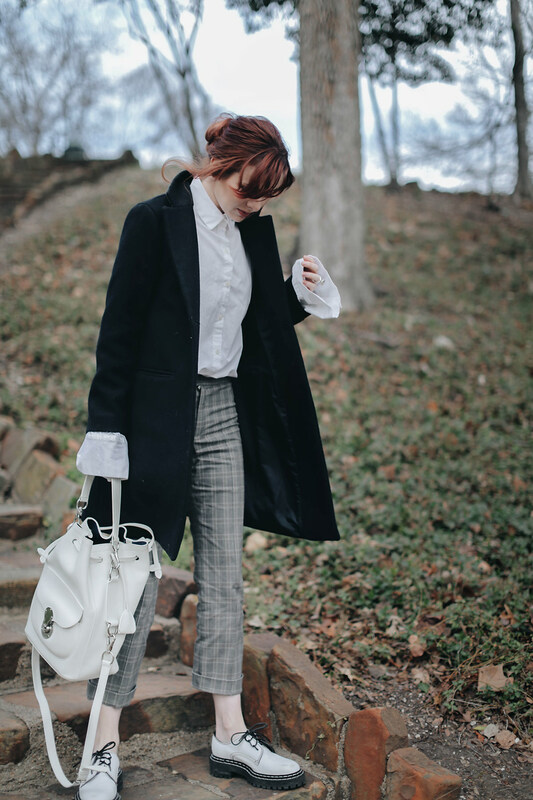 Wearing Isabel Marant Etoile pants from last spring (similar here), white brogues by Proenza Schouler, vintage navy coat (similar here), and Ralph Lauren Ricky bucket bag. I love the white shirt and the matching shoes and bag! I love brogues! And these ones look like the grown up version of Creepers. Love ’em! This look is totally something I would wear, I’m obsessed! Such a beautiful and classic outfit! And btw. really love the white bag! THIS LOOK IS SO COOL! LOVE IT!!!! Love those pants so much! I love how you styled the look with those shoes. I love the white shirt ！Where can I buy？thank you! Love this outfit! Brogues are my fav shoes ever!